Tom Wilson is in the penalty box. Music to my ears. Capitals fell 4-2 to the Montreal Canadiens in what has been a shaky preseason, but at least Tom Wilson is in midseason form. Green Bay’s O-line led by Bryan Lulaga and David Bakhtiari, have given up 4 sacks in each of the two games this year. Meanwhile, only Matt Ioannidis and Ryan Anderson are the only Redskins to record a sack thus far. 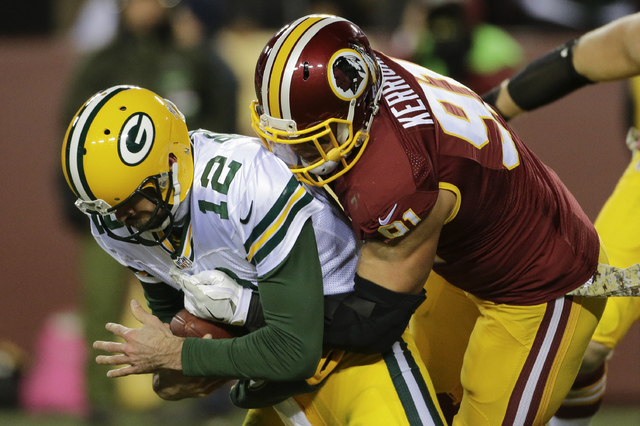 Kerrigan and Preston Smith have remained quiet with 5 tackles between the two of them. One of these units is going to have to win this battle, and it could very well be the Skins’ pass rush. Kerrigan is only a year removed from back to back dougle digit sack and will be hoping to find a groove, as he usually starts the season off pretty fast. Add in the fact that Aaron Rodgers is playing on one leg (which takes him from God-like to slightly less God-like), and it looks like a game where Manusky’s unit can come out on top. Davante Adams, Geronimo Allison, and Randall Cobb all have over 100 yards and are averaged at least 10 yards per catch. They also have scored 5 TDs between the three. Adams is the biggest threat as Rodgers has targeted him 20 times and owns 5 of the teams 10 red zone targets. Since Adams primary plays on the left side, that means he will match up most of the game against the surprisingly impressive Quinton Dunbar. Dunbar has stood out on defense this season with 5 passes defended and 1 INT. The match up Green Bay would love to exploit is Randall Cobb in the slot vs Fabian Moreau, which is the most advantageous for them. Alex Smith has been exactly what he’s been expected. He wasn’t to blame for the loss to Indy, but he hasn’t wow’d anyone. Green Bay gave up 425 yards and 4 TDs to Kirk Cousins at home last week. Davon House replaced injured starter Kevin King(groin) but is currently nursing a bicep injury, leaving Green Bay with Tramon Williams and two rookies at CB. Paul Richardson and Josh Doctson should win these battles, but they’ve been less than stellar. Green Bay plays a lot of Cover 1 with a single high safety, so Smith could exploit the young corners who play on the right side. This is a tough match up to call, but if Smith gets into a rhythm early, we may see a Doctson coming out party. Not exactly inspiring hope with that answer, Coach. But I will give him the benefit of the doubt here and say he was just being honest. Floyd has produced in the past but has short tenures with the Patriots, Vikings, and Saints since 2016. Perriman is only 25 but a series of knee injuries and setbacks have cost him time. There is no guarantee either player will fit in Gruden’s passing attack, but at this point, it couldn’t hurt to see if they can muster up any sort of spark in the air. The first look at Washington’s new signing at practice. 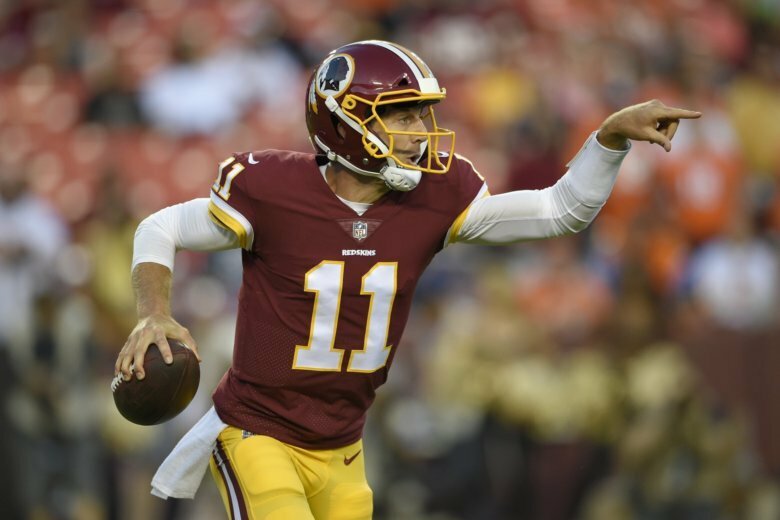 Jay Gruden: Paul Richardson missed practice with a shoulder injury. MRI on knee was negative. PRich: Knee, huh? Nah, nothing there. Did have test on the shoulder. We'll see. I guess they were signed as insurance for Richardson’s sho-…. kn-…. whatever he’s dealing with. Ale to the Redskins! Get it? These beers will be on sale at FedEx Field at all the Devil’s Backbone stands this season. I need a gif of T.J. Oshie drinking one of these through his shirt while Tom Wilson cheers him on. Skins tied for first. I am the point where I feel dangerously over optimistic about this team. We’re on to Indianapolis! Starting the season off right is correct. In a huge road win with a new quarterback, Jay Gruden won a season opening game for the first time. Every unit on this team seemed to be firing on all cylinders. Alex Smith went 21-30 for 255 yards and 2 TDs. He was boring, and that’s a good thing. Boring doesn’t throw a bad interception when the team is driving. Adrian Peterson racked up 166 yards and 1 rushing TD on 28 total touches while Chris Thompson had 128 yards and 1 receiving TD on just 11 touches. This duo is exciting, Peterson is the workhorse he wanted to be in New Orleans and Arizona while Thompson continues to be the change of pace back who can hit the home run at any time. If these two are healthy, the Skins will have a dangerous backfield. Jordan Reed scored a touchdown as well, he would finish with 4 rec and 48 yards. *Ahem: Jesse James take notes. Defensively, there was not much to complain about. The Cardinals only ran 49 plays netting 213 yards. David managed 37 yards on 9 carries with a touchdown on the goaline. Quinton Dunbar was the stand out performance to me. The Skins went out and signed FA CB Orlando Scandrick then subsequently cut him during training camp, effectively naming Dunbar the starter opposite Josh Norman. Dunbar finished the day with 5 tackles, 3 passes defended, and 1 int. Pretty impressive numbers for a guy who was playing wide receiver just three seasons ago. Quinton Dunbar is feeling it today. All in all, Skins fan have good reason to feel optimistic. The run game is lethal, Alex Smith is leading the passing attack, the front seven on defense looks stout. Next week will be a big test for the secondary as they face Andrew Luck and the Colts. Still a no-go on Dez Bryant. I don’t hate that either. As much as I wanted a big name WR this offseason, I never wanted it to be Dez because I never thought he would fit in. I do hope Dez lands a gig somewhere. Maybe Cleveland. Welp. There it is. I thought Perine might have gotten the ax with Bibbs a suitable back up for Chris Thompson. Bibbs could be a candidate to return as Kelley and Perine are on short leashes.